Have you ever come across a food that you loved so much that you remember exactly where you were the first time you ever had it? For me, it's apple butter. I was 9 years old and my mom had just brought home a little jar from the farmer's market to serve with dinner that night. Now, I'm a butter girl through and through, but once I had a bite of that sweet deliciousness, I was sold! As much as I have loved apple butter over the years, I have never made my own. 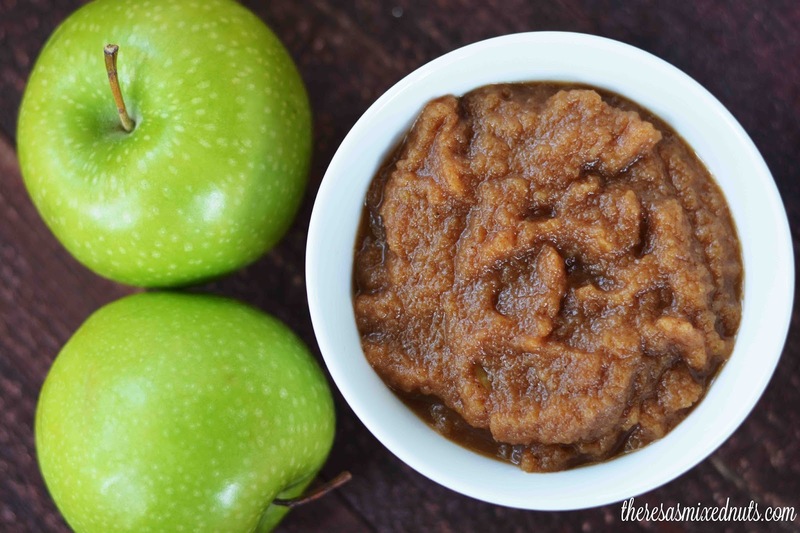 With the cooler temps hitting, I've been craving some a lot lately, and thankfully Golden Blossom Honey had a very easy to follow Apple Butter recipe that made it possible for me to satisfy my craving this week. This is the perfect fall spread. Paired with fresh muffins, rolls or bread out of the oven equals to pure bliss! What's a food that you remember from first bite? I didn't grow up in a house which had good food culture, so I don't really have tasty memories :) but I do remember some fragrances and aromas that I've used ten or more years ago and they're still in my head. Nope, no real butter here. Makes it a lot less fattening spread ;) Glad you have Honey Boo properly displayed so you can stare into his cute plastic eyes all day long! I don't think I know what quince is. I'll have to go look that up. I don't think I would like apple butter if it were jelly-like. I love how thin it spreads over breads so you don't get gobs of it at once. Just a nice bit of flavor to punch up bread. Well, now I see why I don't know about it. Way before my time. It does sound really lovely, though! I think I'll add the honey to my recipe and see if I like it better than what I usually do. Thanks, Theresa! OMG I love homemade apple butter. It's one of my favorite things about fall! YUM! Looks so good right about now. I am going to have to pick some up and make some this weekend. Apple butter is something I've always wanted to learn to make so I don't have to buy it for the kids. I love apple butter! This recipe sounds really good. I have never had apple butter but it looks yummy. I may give this a try over the weekend. This has GOT to be so much cheaper than apple butter you buy in the store (we just paid $12 for a small jar). I bet it tastes better too! I love this recipe. It sounds super easy to make and I love anything apple. I love apples in whichever way it is served. 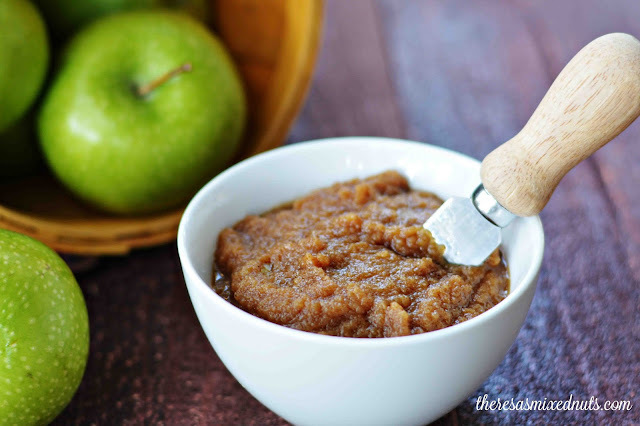 Apple butter is so yummy to have around and I would like to thank you for posting the recipe for it. That looks so good I have never tried this so thank you for posting. I like that you use honey in this recipe! I will have to make this real soon. My son and daughter and I would love this on our toast! I imagine that apple butter tastes delicious on everything that you put it on. I would love to taste it on warm bread. I love apples. I never thought they can be made into a butter. I would love to try this. I have so much about apple butter, but I never had them. I am going to save your recipe and make them soon. I hope my girls love it too. I have not had apple butter in years. This looks so delicious and easy to make. I bet my kids will love it. I am going to make this tomorrow. My mom just asked me to find her a good recipe for apple butter. This one sounds amazing so I will be sharing it with her today when I visit. I am a big fan of granny smith apples..I alwasy eat it like it is..but that apple butter looks yuum indeed.. I love Apple butter, and actually made it many years ago. This is much easier than the recipe I used, I will have to try it. My hat off to serendipity! This is great! My neighbor has a McIntosh apple tree that grows some incredibly delicious apples. I was thinking about making apple butter and was looking for a good recipe and lo and behold here it is. Thank you. I've always wanted to try Apple Butter! This sounds like a great recipe that I'll have to try out. I'm sure the kids would love it too. It's been so long since I've had apple butter. Thanks for the recipe.